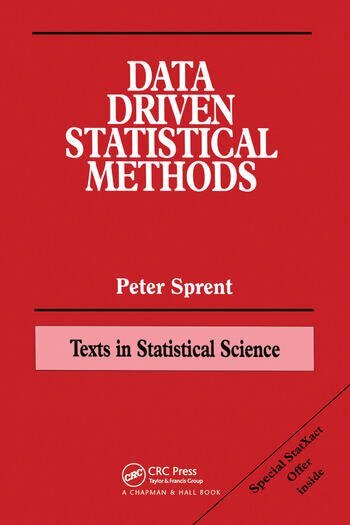 Data Driven Statistical Methods is designed for use either as a text book at the undergraduate level, as a source book providing material and suggestions for teachers wishing to incorporate some of its features into more general courses, and also as a self-instruction manual for applied statisticians seeking a simple introduction to many important practical concepts that use the 'data driven' rather than the 'model driven' approach. Data-Driven Inference. The Bootstrap. Outliers, Contamination, and Robustness. Location Tests for Two Independent Samples. More One- and Two-Sample Tests. Three or More Independent Samples. Designed Experiments. Correlation and Concordance. Bivariate Regression. Other Regression Models and Diagnostics. Categorical Data Analysis. Further Categorical Data Analysis. Data-Driven or Model-Driven? References. Index. "This scholarly book brings together a vast literature on methods for analyzing and modeling rank data...it is a mathematical statistics book in the best sense of the word..."